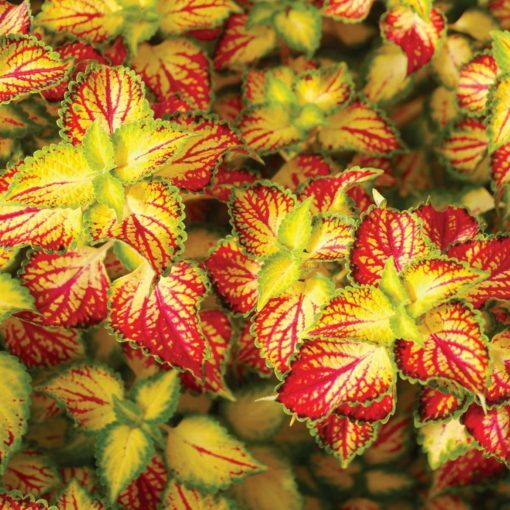 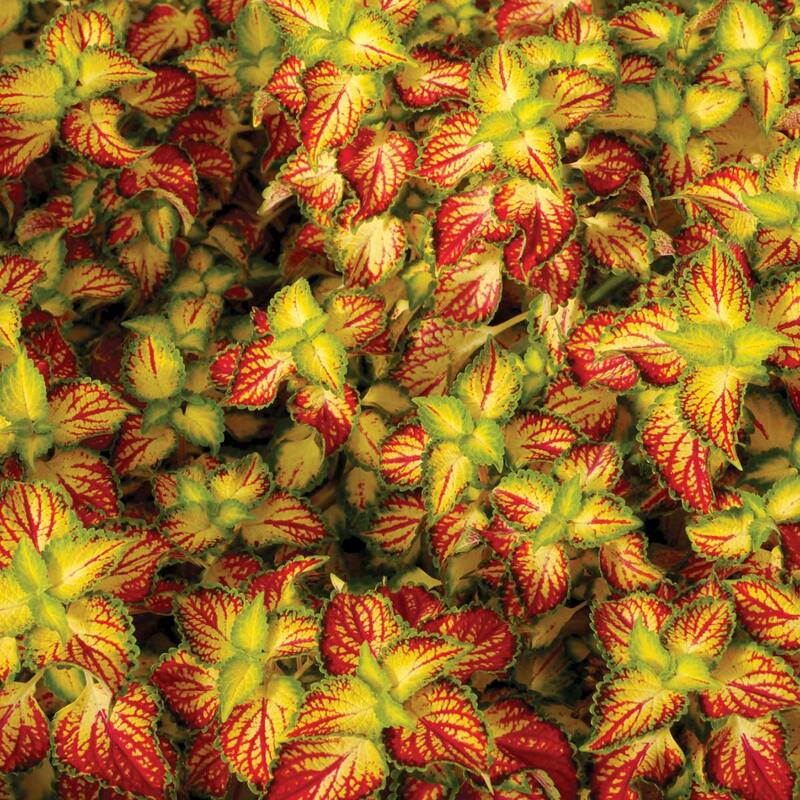 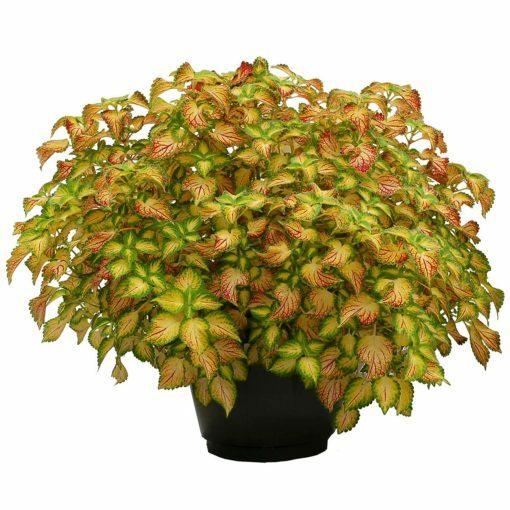 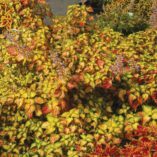 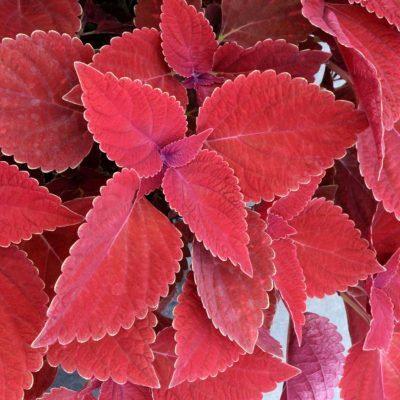 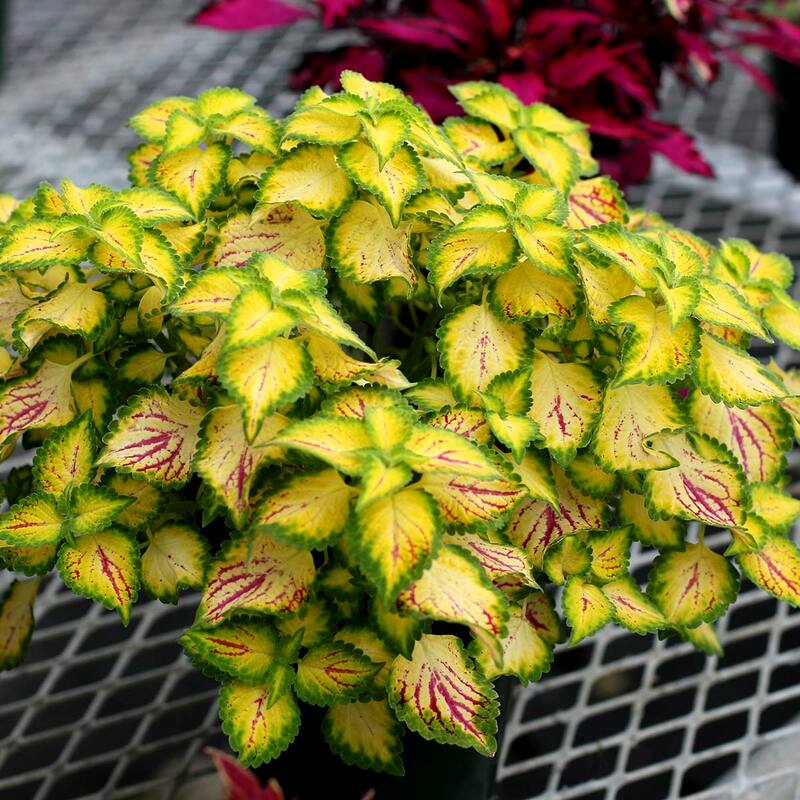 Coleus TERRA NOVA® ‘Electric Slide’ | TERRA NOVA® Nurseries, Inc.
What could be better than an easy to grow Coleus that is equally at home in a bed or a hanging basket? 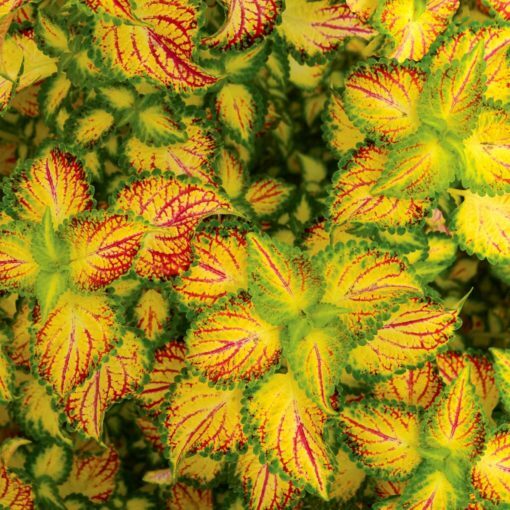 With a strong, canary-yellow background, shocking red veins and a ruffled emerald edge, it's hard to keep your eyes off. 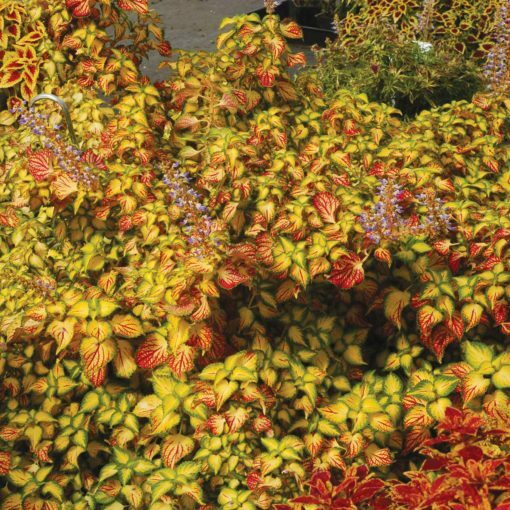 Naturally neat and compact, very shy flowering with short violet blue flowers late in the season. 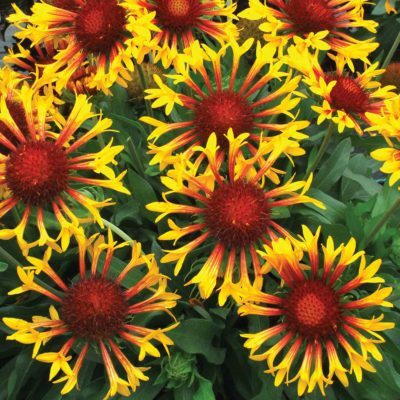 23" / 36" / –"
Unique spreader or hanging basket type with self-branching and shy blooming. 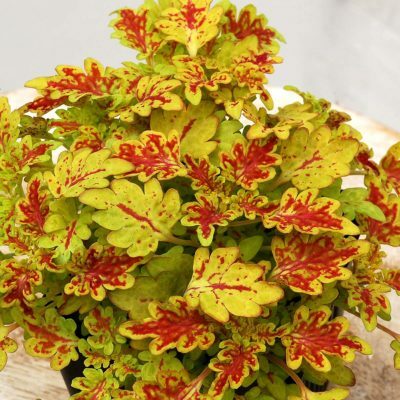 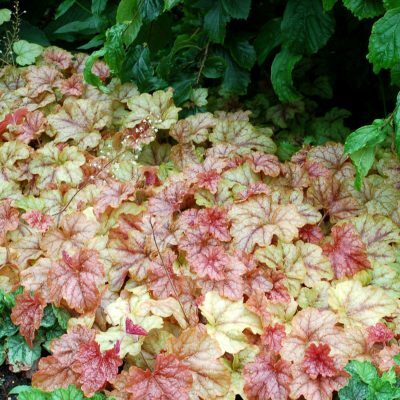 Foliage is yellow with red veins edged in lime green. 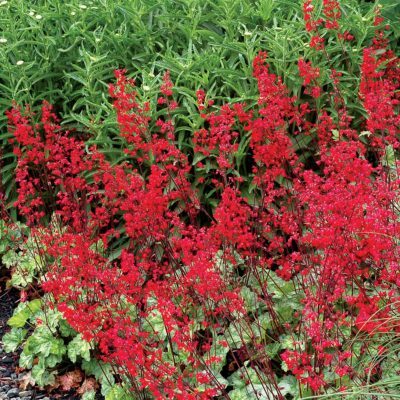 The flowers in short spikes are a lovely blue.